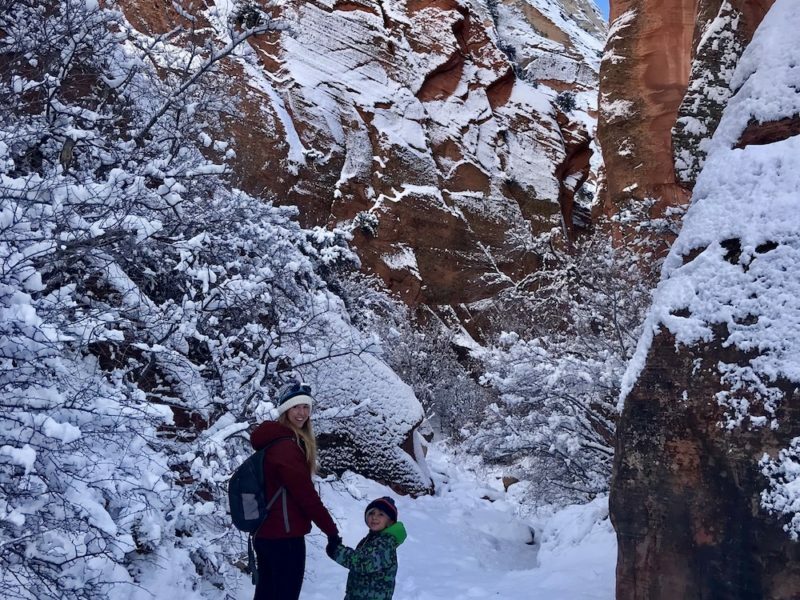 This is a short very kid friendly trail that leads to a slot canyon. There’s very little climb, so little walkers can do it. At certain times of year there might be some water in it. 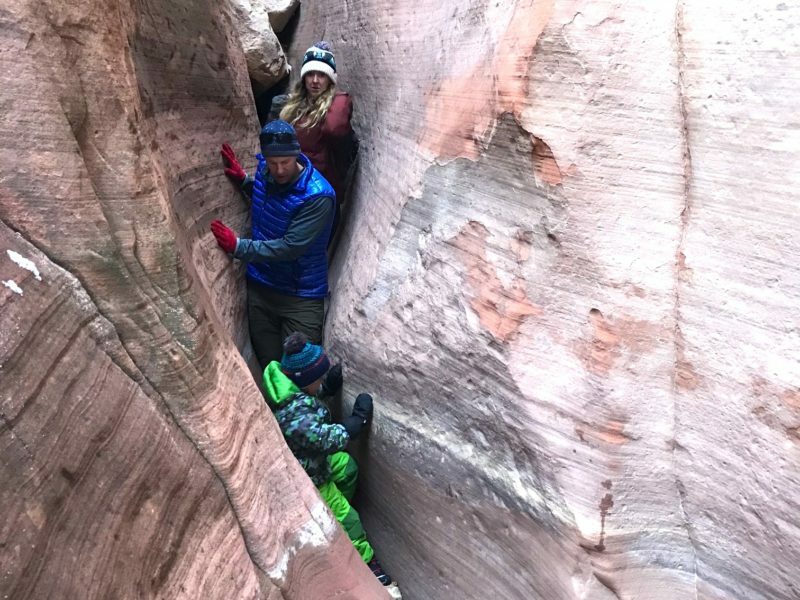 We hiked it in winter and there was a little bit of snow on the ground leading up to the slot, but it was completely dry once we were in the slot canyon. Approach is a rough jeep road and then you cross into a wash, which eventually leads to a short, narrow slot canyon. 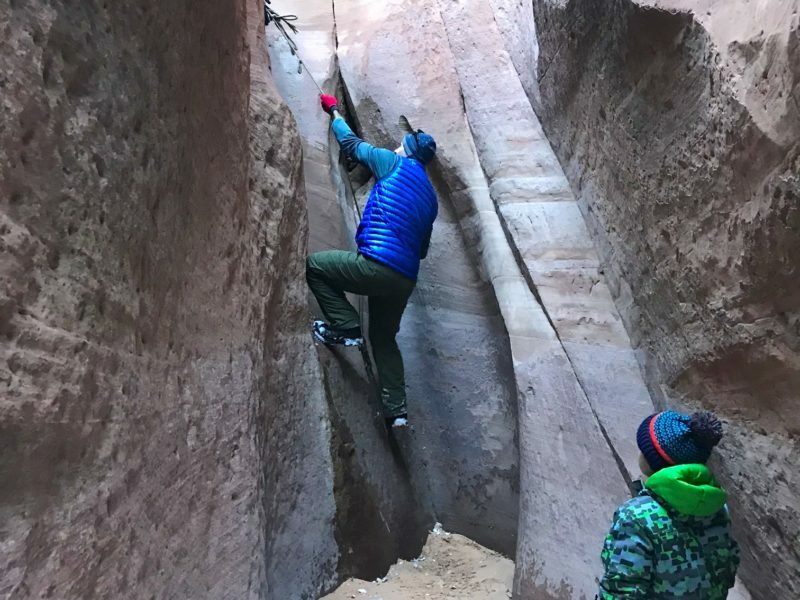 There are two points in the slot canyon where you will need to lift little ones over boulders. Eventually you come to a rope to travel higher, but for kids, this is the end point. 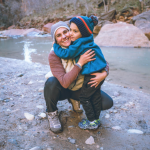 Located near a cute little town called Orderville, this is a great hike to couple with other short hikes on Highway 9 if you are traveling through Zion. You can do a hike like Canyon Overlook and this one in the same day. Dogs are welcome, but be leash aware. Check driving directions, as the approach is a little tricky with dirt roads splintering off. Best traveled in a 4×4 in winter, but in summer it’s fairly passable with a car, as long as it’s not a wet day. This is a tricky hike to get too because Orderville isn’t very marked. The trail is out 100 E which is to the right off of highway 89. Look for cemetery and school. Then head up the dirt road at the bend in the road. 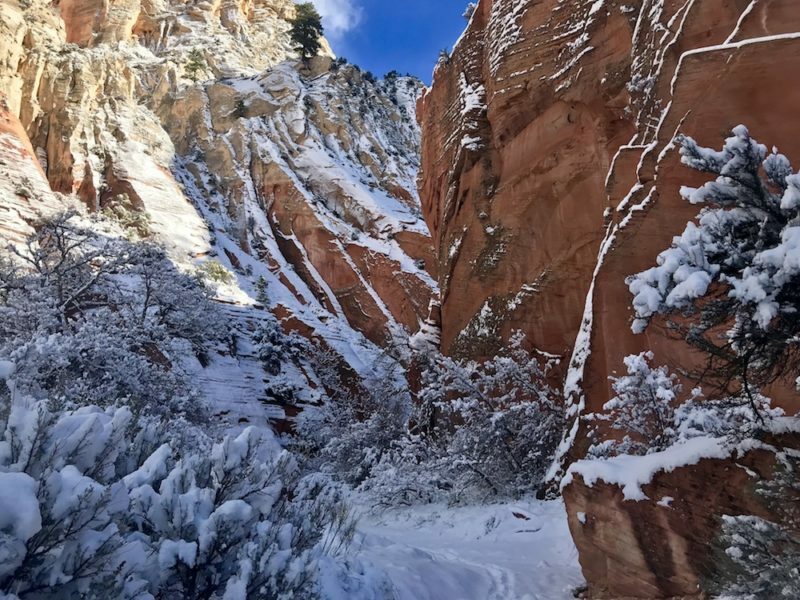 Stay left at the T. Park lower or if you are confident in road conditions park at the water tower and chain link fence and hike in from there.